Upstart is a personal loan lender that offers personal loans for a variety of things. They offer some attractive terms for the borrower with average credit, which is why they make our list of the best personal loans. In general, we think they are one of the easiest personal loan lenders to qualify for, and their application process is super easy. Check out our Upstart review and see if they make sense for you. Whom Does Upstart Lend To? What Are All the Different Fees I’ll Get Hit With? Can I Invest in Upstart? Upstart was founded by ex-Googlers and is based in San Carlos, CA. They began offering a consumer loan product in May 2014 and have since originated more than $2.7 billion in loans. Upstart is the first lending platform to utilize artificial intelligence (AI) and machine learning (ML). Because Upstart is a technology company, they also provide services to banks and credit unions as a SaaS. Those are only a few categories that loans can be used for. There doesn’t really seem to be any restrictions on loan use. Not be residing in Iowa or West Virginia. Have a valid email account. Have a verifiable name, date of birth, and Social Security number. Have a full-time job, a full-time job offer with the job starting in six months, a regular part-time job, or another source of regular income. Have a personal banking account at a U.S. financial institution with a routing transit number. Meet Upstart’s minimum credit requirements. If an existing borrower on the Upstart Loan Program, the borrower/applicant must (i) have made on-time payments for their six previous consecutive payments, with no failed payments, [and more]. Wait for a period of at least one month after paying off a previous Upstart loan. You have to have a minimum VantageScore of 620. You can’t have a significant change in credit report (a drop in credit score, increased debt, etc.). You can’t have bankruptcies or public records on your credit report. You can’t have accounts that are currently delinquent. You have to have fewer than six inquiries in the last six months. The above requirements may sound stringent but they help Upstart maintain a statistic of around 91% current or paid-in-full loans. Upstart offers only two loan terms: 3 and 5 years (36 and 60 months, respectively). A down payment is not required and you can pay off the loan early without incurring a penalty. Loan rates vary by state. Upstart doesn’t offer loans in West Virginia or Iowa. You can apply online at Upstart.com. Upstart claims it only takes two to five minutes to check your rate. Checking your rate won’t affect your credit score as it is a soft inquiry. Soft inquiries check your credit report and may show up as an inquiry. Once you choose a rate, Upstart will perform a hard inquiry, which may affect your credit score and ultimately, the outcome of your approval. 99% of Upstart applicants receive funds within one business day of approval. Upstart does charge a number of fees, some of which are penalties. Besides the interest rate, the only other loan fee is an origination fee of 0.00% to 8.00%. Upstart also caters to investors. To invest in Upstart, you must be an accredited investor. 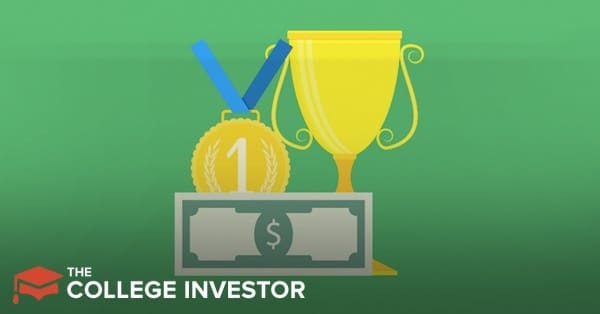 An accredited investor is someone who has made at least $200,000 for the previous two years and expects to make the same amount in the current year — or has a $1,000,000 net worth excluding home value. The investing part of Upstart is peer-to-peer (P2P) lending. Upstart differentiates itself from other P2P lending platforms by including data points such as education and employment. All application information is fed into their AI and ML algorithms to produce probabilities of each applicant’s propensity to repay. If you’re interested in investing with Upstart, visit www.upstart.com/invest. Upstart offers some attractive terms for anyone seeking a personal loan or even a small business loan. Their application qualification criteria lean toward the stringent side. But this helps Upstart maintain a high current or fully-paid loan status. If you want to apply for a loan with Upstart, just visit www.upstart.com.